We move your best friends too! 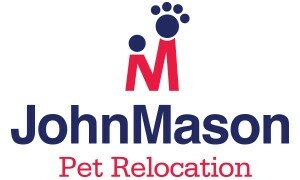 John Mason International prides itself in looking after the entire family throughout the international removals process. From the youngest, to the fluffiest members, we can help! As a family business, we appreciate more than anyone, that your four legged friend is a much-loved member of your family and our experienced Pet Relocation Division dedicated to providing you with the highest levels of service to ensure that your pet’s move is as smooth and as stress-free as possible. Our aim is simple; throughout the entirety of your removals overseas we want to exceed your expectations and offer the best pet relocation services available. Generally, all we need is between one and six weeks’ notice (depending on the nature and destination of your move), and we’ll arrange everything needed for your pet′s travel plan. For overseas removals from the UK, we usually collect pets a day or 2 before their trip and bring them to our facilities close to Heathrow, Gatwick, Glasgow or Manchester airports. Our vet will then examine them for their Export Health Certificate, which means they are fit to fly. Our team will take care of all the necessary Exports and Customs paperwork to make sure your pet is all ready to go. Click here to visit our dedicated pet relocation website and find out more about the process.